When you share with another, both of you have more. 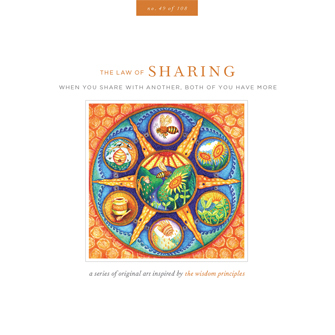 When you share, you seed a powerful cycle. Abundance flows from you, enabling another person to flourish—this is the outflow. Abundance also returns to you—this is the inflow. What returns is always more than what went out. You have more the moment you give. Sharing enables our world to thrive. No one has everything it takes to prosper. Each has a piece, and the whole flourishes through the willingness of one to share with many. When you share with another, both of you have more.